I always feel most in control when I can make sense of what’s going on in my life…but that’s not very often. When I can’t I tend to organize thoughts and happenings into thematic categories and when I can’t even do that I cling to a verse, a mantra or an anthem. 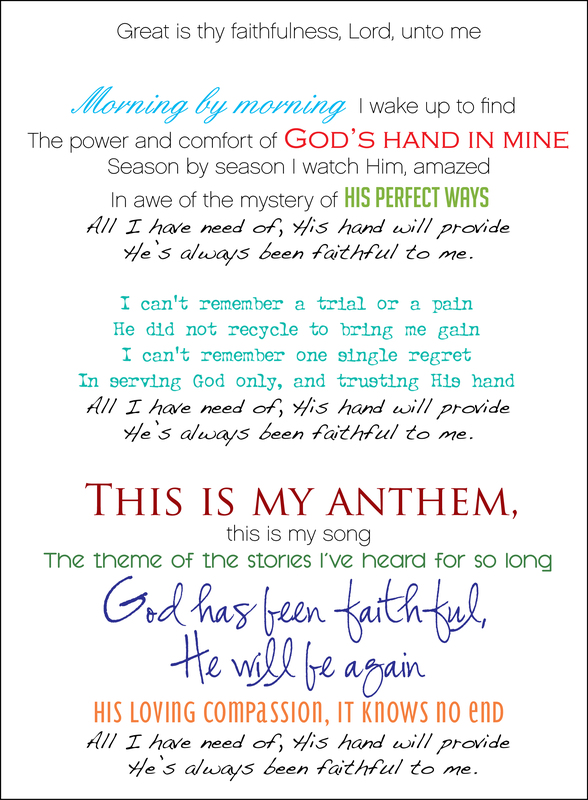 A friend shared this Sara Groves song with me a few weeks ago and it’s become my anthem. I know I’ve posted before about how I have given up on ever trying to quit coffee. Well, recently I had the thought, “Maybe I’ll try just doing tea again”. I was getting tired of cleaning out the coffee pot everyday and going through the trouble of grinding good beans only to end up with a nasty pot of coffee that I only drank because I needed the caffeine. There is something wrong with our water or our coffee maker because the coffee always tastes like plastic. So recently my friend ShellEy introduced me to Starbucks VIA. Now, I remember the Folgers crystals from my childhood and how nasty it was so I was certainly skeptical of anything that used the words instant and coffee in the same phrase but, I have been using these for a few weeks and I am totally hooked. This is what Starbucks says about VIA, and I couldn’t agree more. Now if I could just find a bunch more on sale like Shelley did, I be set. This is not instant coffee as you know it. This is rich, flavorful Starbucks© coffee in an instant. Starbucks has found a way to offer a truly great cup of coffee that you can prepare by just adding water. Other instant coffees taste flat and lifeless. 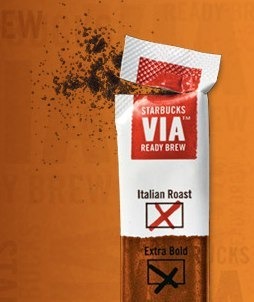 Starbucks VIA® Ready Brew is different – it’s full-bodied and flavorful, just like the Starbucks© coffee you know and love. It’s made with the highest-quality, ethically sourced 100% arabica beans. The magic is in a proprietary, all-natural process that we spent years perfecting. We microgrind the coffee in a way that preserves all of their essential oils and flavor. No other coffee company takes this step, and it makes all the difference.